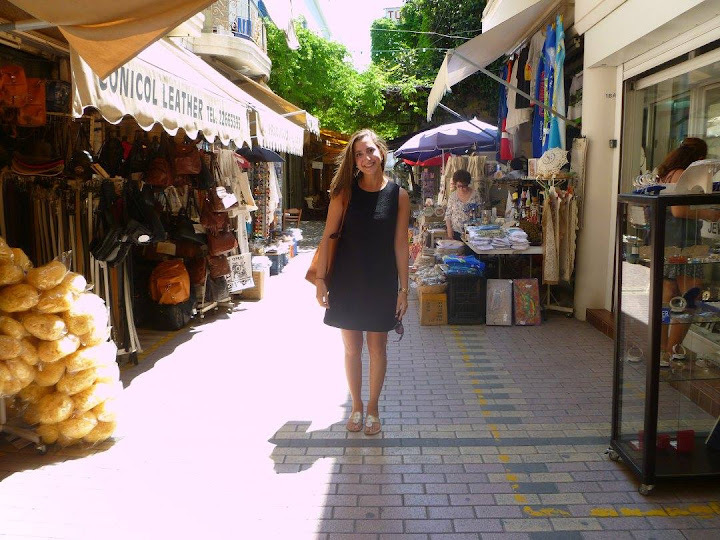 Traveling has always been a passion of Laura Victorelli’s, a senior political science major at the University of Pittsburgh. She credits that traveling has guided many aspects of her life. Originally born in Roanoke, Virginia but moved to Pittsburgh when she was four years old, Laura has always known that she wanted to learn about the world around her as much as possible. She’s traveled to southern Germany, Switzerland, Luxembourg, Lichtenstein, and Jordan. 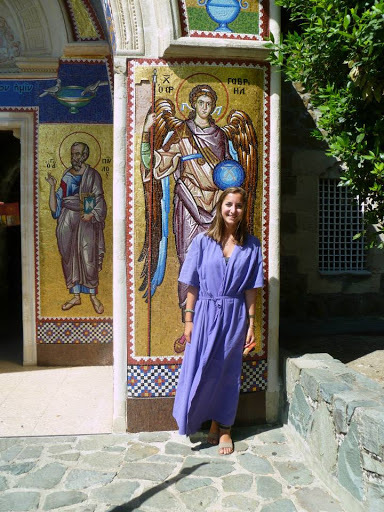 In addition, she studied abroad in Cyprus, Greece. Laura found herself wearing many hats on campus - she is an active member of Greek Life, a student employee, and a member of the Student Government Board. She comments, “I have learned so much about myself, those in the Pitt community, and people across the world. I hope to continue my travels abroad in the future and experience as much as possible in my lifetime.” Laura hopes to live in a bigger city (maybe New York or D.C.) for law school and continuing to expand her knowledge for the world through her love of traveling. 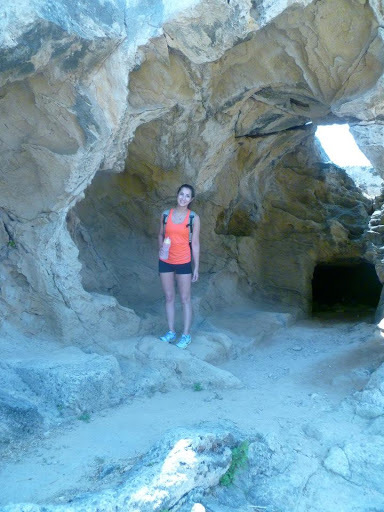 Read her exciting interview below to learn more about Laura’s study abroad experience in Cyprus! I chose to go abroad because I love experiencing new things and meeting new people! I also had some previous experience abroad in high school and my freshman year of college that inspired me to see more of the world. I think once your mind is opened to a new culture that is different from your own, you just want to continue to learn more and see more. Originally, I was supposed to study abroad in India in a place called Musoorie, found in the Himalayas. I wanted to see something completely different from the traditional European trips that many of my friends had taken for their study abroad. I’m trying to make it to all of the continents, so I thought study abroad would be a good way to do that. Anyway, because my trip got canceled due to low numbers, I ended up having a choice between a few other study abroad trips including Rome, Athens, Cape Town, Bolivia, and the trip that I ended up going on, which was Cyprus. 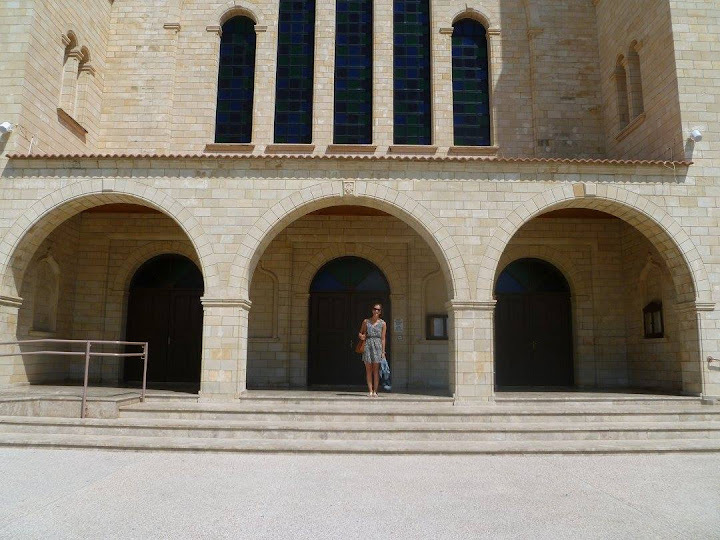 Out of the remaining options, I decided to go to Cyprus because I simply didn’t know that much about it. Of course, I had heard of the Turkish occupation there and the failing economy, but I didn’t know anything about the people or the food or the culture at all. I just wanted to learn more about the island and find out more about a place I’ve heard very little about in the past. I wanted to see what was behind the occupation and how it affected the people there. I also wanted to be able to look past the economic situation to see what the people think and how they would choose to handle the situation. Luckily, I was able to do just that in my time there. The best words to describe my experience are challenging and eye-opening. Of course, traveling anywhere outside of your comfort zone is challenging. Every day was something new, which was both exhilarating and exhausting at the same time. Whether it was a language barrier, food illness, a new currency, a hiking trip on the mountainside, or just a lazy day at the beach, I faced a new challenge every day. One of my favorite memories from my trip was when we went to the grocery store. I know that doesn’t sound as exciting as hiking in Troodos, shopping in Nicosia, or swimming around Aphrodite’s Rock, but let me tell you, it was cool. I loved all of the fresh fruit and how they weighed it right after you picked it up. It was fun trying to read all of the food labels written in Greek. I especially liked the bakery where everything was so fresh and smelled so good! Something that is a lot different about grocery stores in Cyprus is that they let you sample things before you buy them. It was the same way in the little outdoor markets and festivals, too. One challenge that came along with shopping in the outdoor markets and festivals was bartering. As Americans, we are not accustomed to making deals about how much our food is going to cost. We see the price, and that’s it. That’s what you’re going to pay. However, in Cyprus, it’s completely different. Some people even get offended if you don’t try to make a deal with them. A 20 euro bag of nuts could end up being 5 or 6 euros by the end of the deal-making. It’s exhausting, and it takes a lot of practice, but by the end of the trip, I got used to the idea of paying less than half the sticker price for my food, and I ended up spending a lot less money on food than I had originally thought I would. Other than bartering, I learned how to speak with people who don’t speak the same language as me. This is the first time I’ve traveled outside of the United States and not spoken the language at all. At least I could ask for directions in Germany or read the signs in Jordan. In Cyprus, it was all Greek. One good thing was that a lot of people spoke English there. If you try to speak Greek, though, they get so excited! I would say “good morning” or “thank you” in Greek, and they would be much happier to speak English back than they would be, had I only spoken English the whole time. I don’t think that I have changed in the sense that I’m a new person. Rather, I feel as though I am a new, better version of myself. I am more confident in the things that I do at home, and I am more willing to try new things. Being abroad definitely makes you appreciate your own culture more, too. Before I left, it seemed like a chore to go to work or school. Now, I get excited because it’s a way to interact with more people and tell them about my experience abroad and hear their stories from their time away from the United States. I’m also really enjoying seeing new parts of Pittsburgh and exploring festivals and events in my own hometown that I wouldn’t have appreciated as much before I left for Cyprus. I think that my experience will take me far! By having traveling experience and pushing yourself outside of your comfort zone definitely gives you the confidence to continue to do so. I hope that my experience abroad will open other doors for me to continue to travel and see more of the world. Just don’t be afraid to be a little crazy in your time abroad. Yes, you should be careful and always watch your back and the backs of others on your trip, but don’t let fear get in the way of experiencing new things. There were a few people on my trip who didn’t seem interested in trying new things that spent a lot of time in their rooms and sheltered themselves from the world around them. Don’t be that person. You’re guaranteed to have more fun if you force yourself to leave your room and do something, rather than just staying inside and watching TV or sleeping all day. I think all in all, it has just made me appreciate my own culture a lot more and given me a new perspective on my everyday life here in Pittsburgh. Now, when I’m walking through a market or arts festival, I have something to compare it to. I think I’m altogether just a more well-rounded and culturally aware person because of my international education. Something that I did that was a little different than everyone else on my trip was that I took a weekend trip to London. I think it’s important to take advantage of every opportunity when studying abroad, especially if you’re only there for a short time. Plane tickets traveling between EU member countries are really cheap compared to transatlantic flights. Taking that weekend trip made me realize how strong I am and how liberating traveling can really feel. #StudyAbroadBecause... by learning about others, you learn about yourself and become more culturally aware, which ultimately makes this world a better place.